A HUGE police operation has seen the arrests of two expats and a vet at one of the Costa del Sol’s longest-running animal sanctuaries. 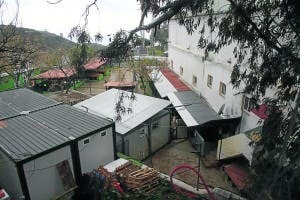 An incredible 15 Guardia Civil officers were involved in the dramatic raid of Marbella’s Triple A shelter on Monday, seizing computers, documents and other evidence. 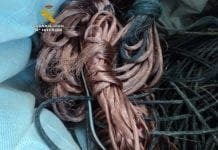 German President Bettina Pietsch, Dutch Secretary Jan Weima and a senior vet were arrested for animal cruelty and dog trafficking. The trio were carted off for questioning shortly after the 1pm Monday bust, which came about after a denuncia from a lawyer. Sources close to the 25-year-old charity insist the lawyer had made the denuncia after the shelter had itself made a malpractice claim against him. 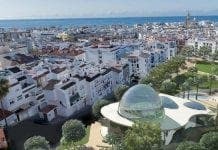 They believe he also drafted in notorious animal rights activists Pedro Torres and Virginia Ruiz – both known for jumping into Marbella’s bullrings – to help in his case. Suspiciously, Torres slammed the shelter in a Facebook post just hours after the raid. “Those at Triple A are being found out as abusers and scoundrels and they are going to pay for what they have done,” he wrote. The activist – who was famously kung-fu kicked by a matador last summer – added that more animal shelters would soon find themselves under investigation. However, sources close to Triple A, which is subsidised by Marbella Town Hall, told the Olive Press that there were ‘no grounds’ for the investigation. “It is nothing more than a revenge tactic,” the source said. “These people are bitter about something and the police have taken it too far. Officially a spokesman for Triple A said that the shelter was ‘amazed’ by the arrests. A large number of volunteers and nearby shelters have come out in support. Briton Mary Page, ex-Vice President of Estepona shelter ADANA told the Olive Press she ‘does not believe’ any laws have been broken. “I cannot believe Triple A has done anything wrong,” she said. Meanwhile Dutch volunteer Jose Harleman said that all staff are standing by the president, secretary and vet. “They have done a lot of damage by denouncing us,” he said. “They want to blacken the name of Triple A.
how dare they accuse triple a of these things, they should look at their own people first. disgusting that this is allowed to happen. Please stay on this topic. I’m curious what the investigations will reveal about those claims. I highly doubt that any of the claims can withstand a thorough investigation. And I wonder why Torres is so involved in this. I don’t know enough about the background, but this smells big time!